Durable and dependable, this two-ply toilet tissue is more economical, sturdy and durable than other similar bathroom paper products. 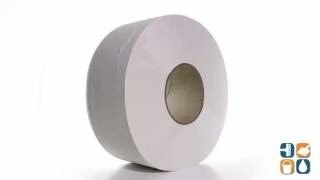 Due to its jumbo size, each roll allows for fewer refills, making it great for high traffic locations. 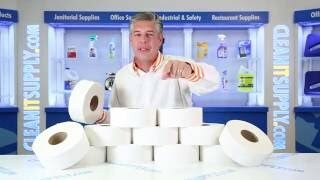 These nine inch toilet paper rolls fit most jumbo dispensers and come 12 rolls per Carton. Stock up on GEN Jumbo Toilet Paper Rolls today. Buy in bulk for your business and save even more! Not top grade product but top notch for the price! All products are used inside offices as well as out in the kennel area of our organization.